In the Enterprise, Accounts payable processes typically involve a lot of time-consuming tasks. These are mostly manual and involve cross-checking many things. Supplier details, Purchase order details, Invoice details are just a few of the pieces. Running an efficient AP department impacts cash flow. 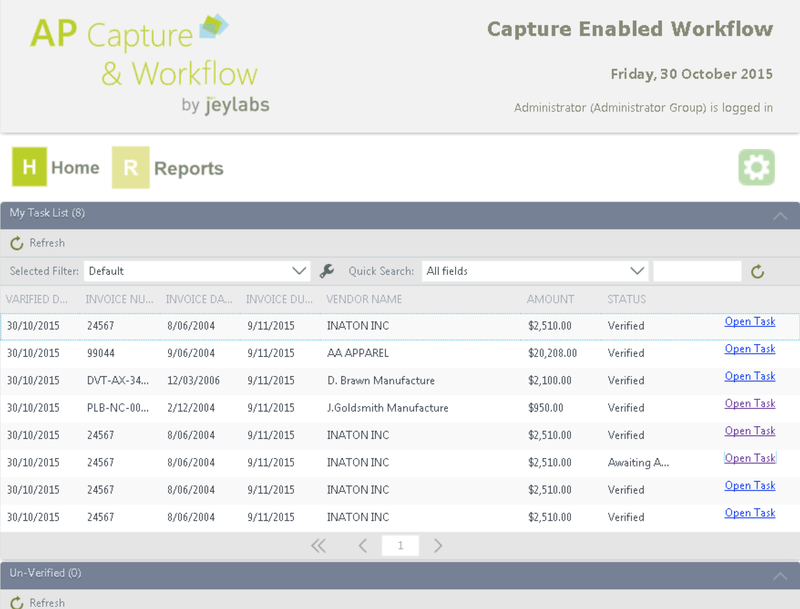 jEyLaBs Capture Enabled Workflow for Accounts Payable Dashboard is designed to streamline these AP business processes. The AP Dashboard is built as a highly configurable solution. It provides a central place to securely view and manage incoming Invoices. You can utilise mobile devices to view in-depth reports and make decisions on the go. You can increase efficiency and reduce on-going costs by minimising errors and delays. Our solution is built upon world-leading technology platforms in ABBYY and K2. ABBYY fulfils the data capture and document processing into business-ready data. K2 utilises the business-ready data to execute the critical business workflows required by an AP solution. We bring years of experience optimising business processes for enterprises in a ready to run solution. 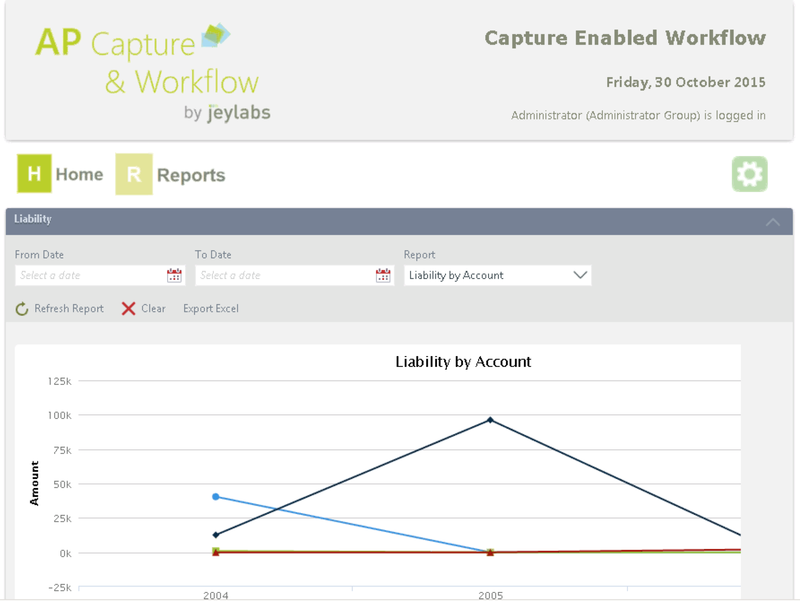 By deploying our Capture Enabled Workflow solution, customers can automate, integrate and modernise many of their business processes. This results in accelerated returns on your investment. Can you quickly Improve Business Productivity and tangible ROI? | Evolve. Love. Believe.